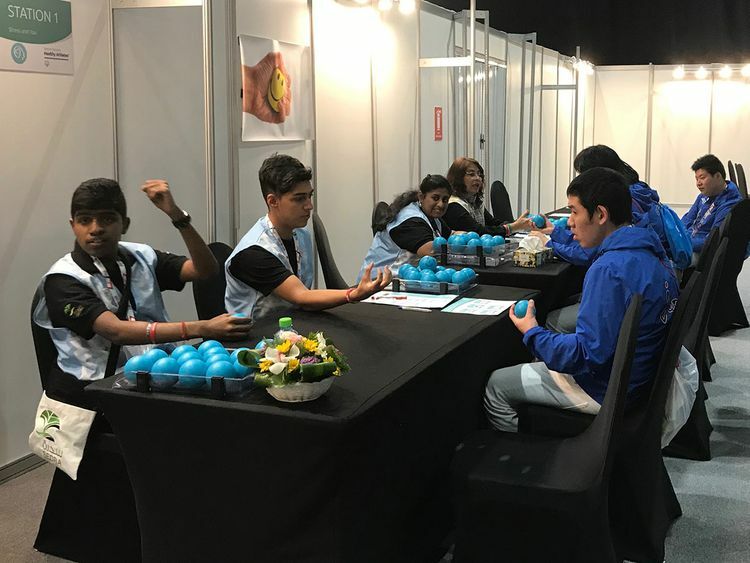 Abu Dhabi: Stress balls are helping people of determination deal with the anxiety of their sporting performance at the ongoing Special Olympics in Abu Dhabi. “We ask them to hold the stress ball tightly and tell them what they feel in their body is stress,” said Meaghan McHugh, director of Healthy Athletes, a programme to identify physical deficiencies among athletes at the Games. “The participants go through immense pressure as they compete,” she added. Travelling by flight and adjusting to a new place also involve stress, but a section named ‘Strong Minds’ helps them tackle it. Once they identify the stress, they tackle it better, she said. Many physical problems remain unidentified among athletes for two reasons. Some of them do not know how to communicate their problems, and others don’t have access to healthcare, she explained. A total of 5,174 athletes underwent screenings as of Sunday and 700 turned up on Monday. More than 18,000 screenings were also conducted across various sections such as dentistry, optometry, physical therapy, dietary and health promotion. All 7,500 participants from 200 countries will undergo the screenings by the end of the games. Many athletes were delighted to receive visual and hearing aids after the screening. Around 580 glasses for the visually impaired and 200 hearings aids were distributed as of Monday. “For those who were able to hear and see first time in their life, it was a special moment,” said McHugh. She said the Special Olympics also had mechanisms to follow-up on treatment given to athletes on the side of the Games.